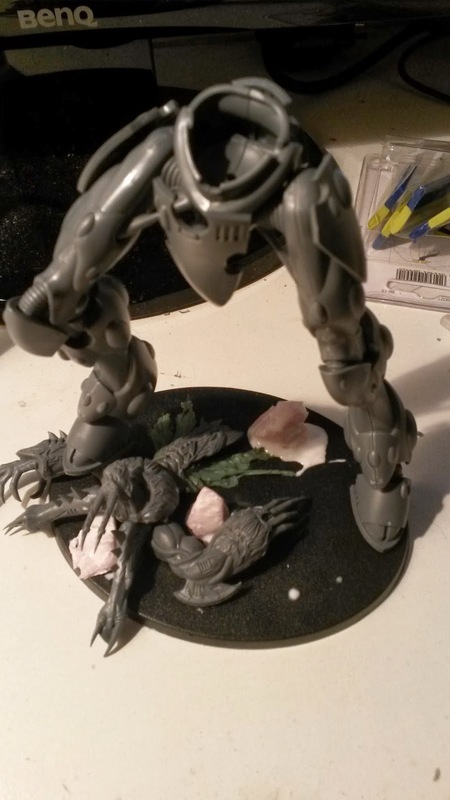 So I got my hands on a Wraithknight. The base has to be something special right? 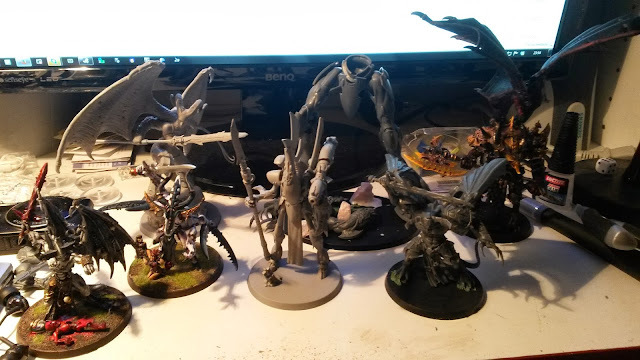 So I had just built a Daemon Prince and had some extra bits left over... and then I ran out of glue. Ahwell. A good start at least! I've given up. I am hoping that Forgeworld will do a sort of in between model. Something bigger than the current units (on the 120mm base) but not as big as the gargantuan uber daemons. For me I'm wondering about using the new Dark Elf Kharybdis and hte Chaos Warrior slaughterbeast as Khorne/Tzeentch bu... if you do have rumours of new plastic greaters that'd be most welcome! GW have shown they can do big, one off kits - why didn't we get new daemons instead of the daft Lord of Skulls thing.